As MERS (Middle East Respiratory Syndrome) cases continue to be reported in South Korea — at last count, 9 deaths and 108 cases — the community here is on high alert. Masks are flying off the shelves and schools have closed. Citizens are avoiding malls, sports arenas, and other public places. Some of the emergency policies enacted border on ridiculous — for instance, my colleague’s 2-week forced exile from the office for visiting Egypt (a MERS-free country) recently — but as you would expect the C.Y.A. policies come out in times of mild panic. My home country’s response to Ebola last year was similar. People here are asking the natural questions: How did this happen? Will it get worse? The most important question to be asked is: What went wrong? In a country still stained by the Sewol ferry tragedy last year, local citizens are rightfully questioning the farcical initial response of government officials (which thankfully is improving). 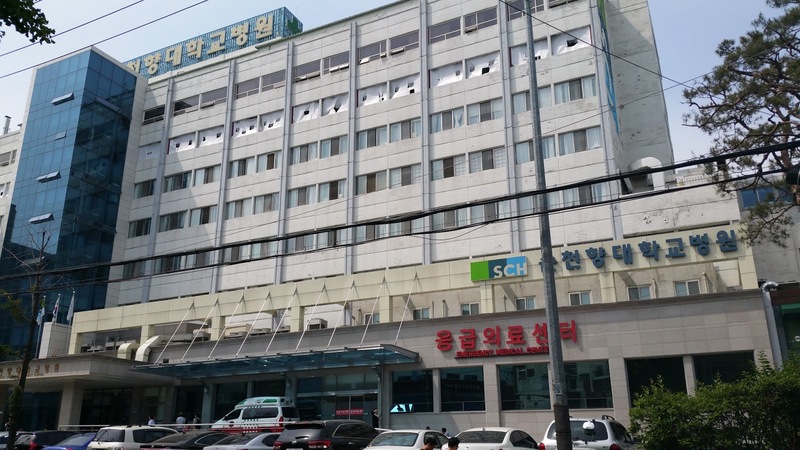 In my opinion, the reason South Korea now has the largest MERS-infected population outside of Saudi Arabia is partly down to bad luck, bad management by the health system, and a bit of Korean culture. First, bad luck: unlike the Middle Eastern countries, South Korea is densely populated, making it easier for a virus to spread to new hosts. However, this doesn’t explain why the initial carrier went misdiagnosed for a week and visited 4 clinics in the meantime, or why a disease which only spreads in hospitals has found its way into so many (29 at last count). The initial lack of transparency was appalling and certainly contributes to the spread of the virus. South Korea failed to learn the lessons of SARS, a far more transmittable but less deadly disease, by practicing the same censorship as the Chinese authorities did back in 2003. For two weeks, the hospitals were not named, creating a vacuum filled by all sorts of crazy rumors. In my 3 years of working for a Korean company, I have also often seen knowledge withheld between groups and by executives, leading to all kinds of false information. In the meantime, many people unnecessarily and unwittingly visited hospitals carrying the disease, which brings me to my next point about Korean culture. In Korea, family members are far more involved in the care of a hospital patient than in Western countries, often sitting for days on end as their lived ones recover. In most cases, this is a rather pleasant practice — the community helps to heal its sick, so to speak. But when a deadly and unannounced virus is plaguing hospital emergency rooms, this leads many of these caring visitors to become afflicted with the disease. Also with proper infection-prevention practices failing to be applied, such as isolating the MERS patients, this has led to many more cases. I personally had a rough spring this year with my health and spent more time in Korean hospitals than I certainly wanted, thankfully before the arrival of MERS. In late February, I gashed my shin after failing to complete a “box jump” at the gym, which I unwisely treated alone for a couple weeks. Finally during a business trip in March in Europe I visited a local clinic and received a cream, which did not work particularly well … so I started with the Korean medical system. Fortunately Samsung has an on-site health clinic where I could see a general practitioner that referred me to a specialist at the local hospital. 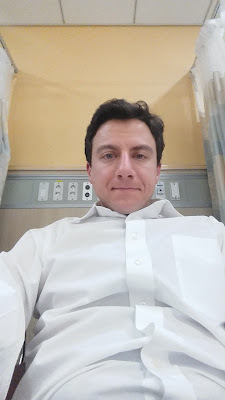 The level of English was not great for the doctor or the staff, but between their broken English and my broken Korean, and a helpful staff member on my team, I was able to schedule my next appointment. The treatment at Ajou, though, ended up being quite good, and inexpensive compared with the crazy American health care system. I only have a small scar on my shin which is fading over time. Shortly after completing treatment for my shin, I noticed swelling in my foot. It was a Friday night and I panicked, so I limped over to the emergency room at Soonchunhyang (SCH) Hospital, walking distance from my apartment. Like most emergency rooms, it was not a pleasant place — I could hear a lot of crying from one room, and despite feeling fine except for my foot I was given an I.V. needle, which seemed excessive. A blood test was conducted, which thankfully found no infection in my blood, though I did have an infection in my foot, and I was prescribed antibiotics. The ER doc communicated very clearly with me, but left me with a huge wrap over my entire lower leg, leaving me unable to clean the shin wound that still needed some ointment. I returned on Saturday and same drill as Ajou — see the international desk, speak to someone in English, then was directed to see a specialist. Like Ajou, SCH hospital was also very crowded, but I was able to get a few minutes with a guy who didn’t speak much English. He cut off the leg wrap, took a look at everything and told me to return on Monday, but didn’t do anything to clean my shin wound as I had asked. On Monday I returned, and he told me I was okay to walk with little explanation. Given his lack of communication, I wasn’t confident in his diagnosis, but thankfully it was the right one. In short, for foreigners visiting a hospital in South Korea, you will probably be fine once this nasty MERS virus clears. But for those with children or anxious about your ability to communicate freely with doctors in a language you understand, research your options carefully in advance if you can. From talking with my expat colleagues, I have observed that Korean doctors tend to prescribe pills and treatments with little explanation, so tread with caution. In my experience, these treatments have generally worked, but others’ experiences vary. Korean doctors are not accustomed to being questioned by patients, and transparency about your treatment may be less than what you are used to. I think MERS will pass over the next 2 weeks, and I am hopeful that Korea can take the lessons learned from this episode to improve its health care system further. We all know that MERS is a new deadly disease and its origins. I have a kakao chat group with my fellow Korean comrades and could feel their worries & paranoid concern towards their families. I could only assure them to leave it to the fate.